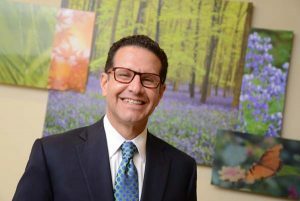 Neil Meltzer has been leading the drive to better serve the health needs of residents of northwest Baltimore since being named president and CEO of LifeBridge Health on July 1, 2013. Building community relationships are essential to Meltzer. The former LifeBridge Health Commercial Division, now LifeBridge Health Partners, teams up with quality partners in the community for medical services, Meltzer says. Its partners include ExpressCare Urgent Care Centers, National Respiratory Care LLC, Pulse Medical Transportation, and LifeBridge Health and Fitness. Meltzer has also taken a lead role in establishing different community partnerships, including a task force that identifies solutions to health-care inequalities, a Diversity Council to ensure LifeBridge’s workforce reflects the communities it serves, and a platform for employees to help with community service projects.